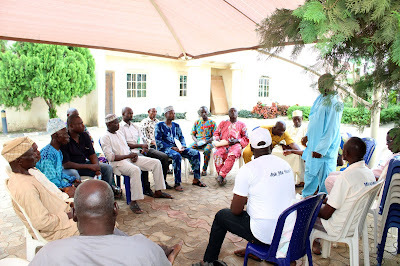 A leading aspirant for the Federal House of Representatives of Offa, Oyun and Ifelodun federal constituency, on the platform of the All Progressives Congress Hon Kayode Oyin-Zubair has donated APC party flags and mobilization to all the 18 wards making Ifelodun local government area to sensitize and ease the ongoing registration of members in the state. 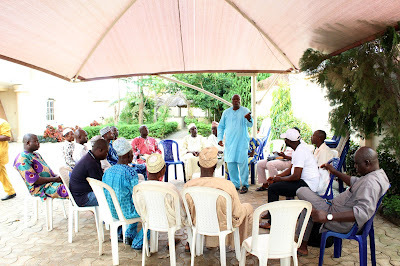 Kayode Oyin-Zubair who is known for his grassroots and community development initiatives, publicity secretary of the party and the front liner in the battle for the liberation of Kwara State was showered with encomium by all ward chairmen from Ifelodun local government that were at the brief meeting to receive those items. 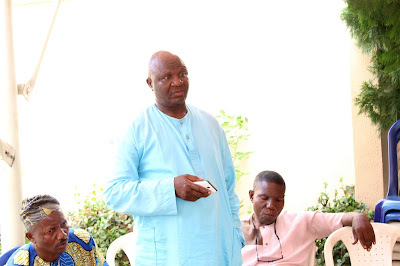 According to Alhaji Mohammed Shilo Awobimpe, Ifelodun local government party chairman, said: "Kayode Oyin-Zubair is a known figure in our state and we appreciate him for these kind gestures to the party both at the local and the state generally. He said, that the party will continue to wax stronger as his administration with support the state chairman, Hon. Bashiru Bolarinwa to deliver on his mandate. Oyin-Zubair had earlier in a goodwill message to members of the party in Kwara State congratulated the national chairman of the party, Comrade Adams Oshiomhole and the honorable minister of information and culture, Alhaji Lai Mohammed on the successful take off of the registration exercise.